Although typically unexciting, office supplies are the fuel that keeps business running. Where would a company be without the hanging folders, ink jet cartridges, pens and printer paper that people need to perform their daily tasks and be productive in the workplace? But, the truth is purchasing office products is close to the bottom of the list when you ask people what they enjoy doing in the workplace. Let’s face it, most office supply orders are simply reorders of items you’ve purchased before. Many times the person placing the order is not the person who is going to use the product, and there is very little emotion involved when ordering that classification folder for the fifth time. Wouldn’t it be cool if you could take this mundane but necessary task, and turn it into an opportunity to help others and give back to society? Wouldn't it be great if you could actually get excited shopping for office supplies? Let’s first talk about a new movement and business model in business called Conscious Capitalism. Espoused by such great business leaders as John Mackey, CEO of Whole Foods Market, Conscious Capitalism is the business model of common sense and the golden rule. To summarize the philosophy, it believes businesses should treat every entity a company deals with in business like you would like to be treated. That means you should treat all vendors with honesty and respect, you should treat employees like the critical resource that they are, and pay them fairly and communicate with honesty. Of course treating customers with respect, honesty and like you’d like to be treated is another key ingredient. And, treating the environment with respect and supporting environmentally sustainable practices is also a key part. It also means a business should take an active role in the community, and do their part to help others with some of the fruits of their labors. Whether it be through charitable giving, volunteering, holding “fun runs” or other fundraisers like bake sales, companies can and should contribute significantly to the community where they operate, and where their employees and families live. So how does this tie into office supplies? From the beginning, Zuma Office Supply has practiced conscious capitalism as their core business philosophy. On top of that, Zuma donates 50% of their profits to great charities, so when you shop with Zuma, you are assured that good work will happen for worthwhile causes in the community. Shopping with a company like Zuma adds meaning to the mundane and unemotional task of buying office products when you know that the company you are doing business with is giving back while being kind to the environment. You can make a difference. 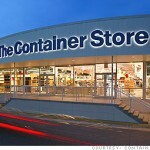 Shop at those stores that do business the right way like The Container Store. At a time when the media regularly has stories on the Occupy Wall Street protestors, many empathize with what the people are saying, but it’s not clear what actions one can take to show the huge corporations, big business and Wall Street CEO’s just how disgusted we are with their greed and lack of integrity. I’ll tell you an easy way to start making a difference. Seek out and support businesses that practice conscious capitalism and give back like Zuma. Think twice before spending money with those huge corporate conglomerates, or banking with one of those banks whose hands were out during the financial meltdown. Just a few of the leading companies who actively practice a conscious capitalism model are Trader Joe’s, The Container Store and of course Whole Foods Market. Make ordering office supplies meaningful and more than just a mundane thankless task by purchasing from Zuma Office Supply. And search out other companies who do good work by practicing conscious capitalism and using business as a driver of positive social change. We all can make a difference if we pay attention to where we spend our money, and support those companies who think and act like we do – using the Golden Rule. This entry was posted in Conscious Capitalism and tagged Classification Folders, conscious capitalism, Occupy Wall Street, office products, office supplies, Zuma Charities. Bookmark the permalink. Excellent article, Tristan. I was intrigued by how you were going to link office supplies to Conscious Capitalism and you did a sterling job. I especially like your point about what we can individually do to shop at conscious businesses. It strikes me this is the ultimate form of individual responsibility as a consumer. Thanks for the comments and best wishes Gina. More and more businesses are using a conscious capitalism model. Zuma believes if people start letting their wallets do the talking, real change can come about that benefits our entire society. Conscious capitalism sounds like a wonderful philosophy. I believe that people and businesses ought to always speak highly of themselves, their customers, and their competitors. It doesn’t cost a penny to be polite and kind. Thanks for the kind words Robert. To learn more about Conscious Capitalism, you may want to check out http://www.consciouscapitalism.org. We agree that being kind and treating others with the Golden Rule doesn’t cost a penny and is simply good business. Thanks for your comments!